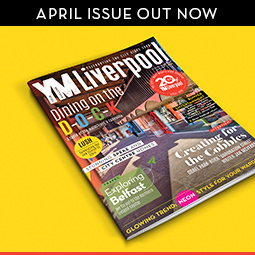 Get out and about in Liverpool to enjoy the countdown to Christmas – there’s something for everyone. 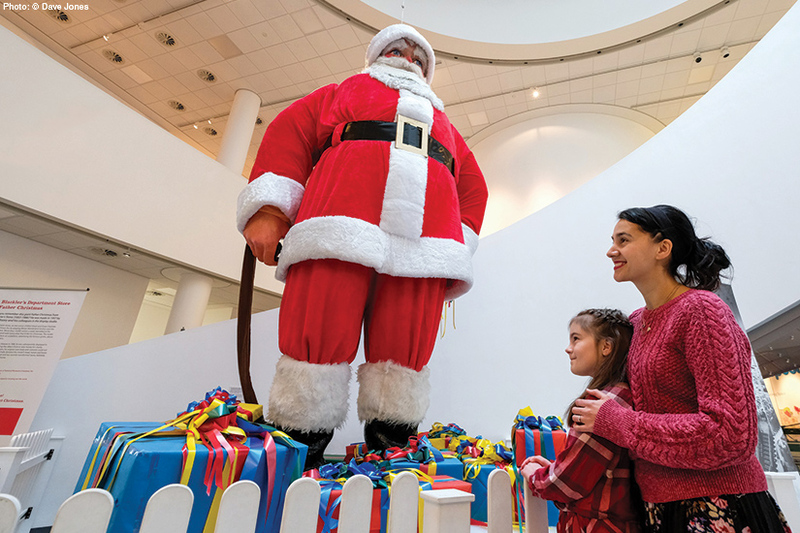 Christmas 2018 marks the return of the famous Blackler’s giant Santa to the museum. The statue was formerly in the old Liverpool department store Blackler’s from 1957-1988, and only recently re-emerged in 2016 after being renovated and restored to its former glory. Scousers with fond memories of visiting the shop’s once famous Winter Wonderland Grotto will be reunited with the big man in red, which stands at just over five metres high. 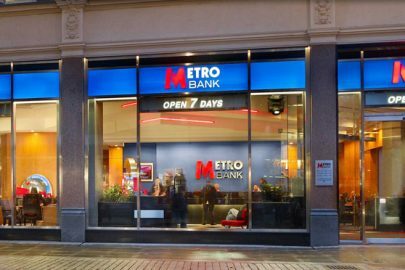 Meanwhile the model, which also previously made festive fundraising appearances around the city after the store’s closure, is sure to delight young visitors during the run up to Christmas. 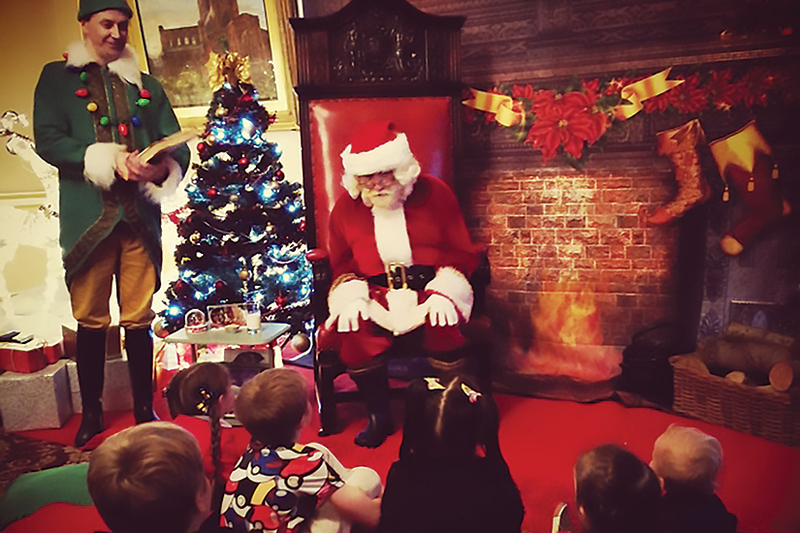 The ‘Story Time with Santa’ sessions will see Mr Claus and his best elf ‘Buddy’ spreading Christmas joy amongst families at the city centre landmark. More than your traditional Christmas grotto, the set up includes stories and a song or two in front of a cosy log fire before every child has the chance to tell Father Christmas their festive wishes and receive a gift. Each bookable 45-minute session is only open to 30 children, with two adults per child able to attend free of charge, so snapping up a slot in advance is advised. 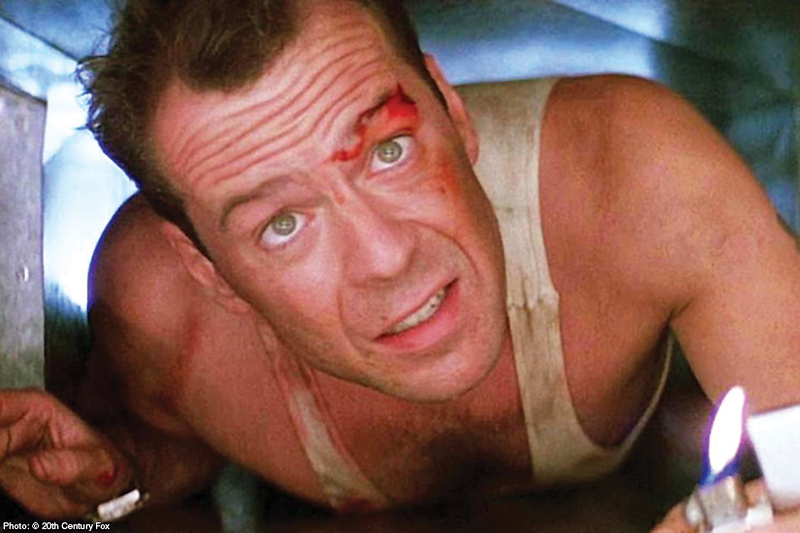 Pop down to the pop-up Luna Winter Cinema at Liverpool’s iconic St George’s Hall, where a variety of Christmas films will be shown for children and adults alike. Sit back and enjoy popular movies like ‘Die Hard’ and ‘Love Actually’ to ‘Elf’ and ‘Home Alone’ within the stunning Great Hall, where the Luna Bar will also be serving cinema staples such as popcorn to festive tipples including mulled wine. Book ahead to avoid disappointment. Step outside of the grand venue and you’ll also find Liverpool’s traditional Christmas market on St George’s Plateau from 16 November until 23 December, making it an ideal destination to soak up plenty of seasonal cheer. Liverpool Cathedral on 5 December, and Liverpool Metropolitan Cathedral on 15 December. 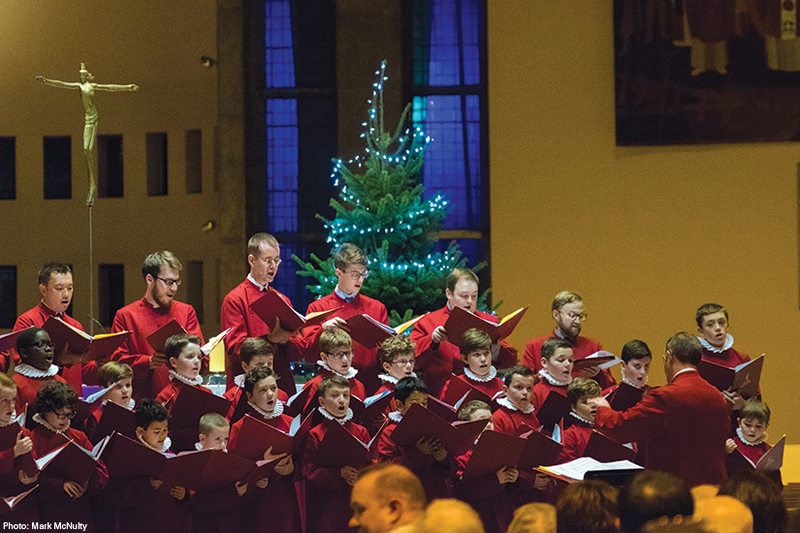 There’s nothing quite like hearing Christmas music being sung live in a stunning setting, and this year both of the city’s majestic cathedrals have fabulous family celebrations lined up. Liverpool Cathedral’s ‘Christmas Spectacular’ promises festive favourites performed by more than 250 schoolchildren, a live band, dancers, choral trio ‘ROOTS’ and an appearance by Santa Claus himself. At the other end of Hope Street Liverpool Metropolitan Cathedral will stage its ‘Celebration of Christmas.’ The whole family can enjoy classic carols and traditional readings at the ticketed event, hosted by BBC Radio Merseyside’s Roger Phillips along with special guests.